The lush island of Cuba is a true tropical paradise. There are no creatures or plants on Cuba that can harm a human, including snakes, and the dense foliage of the country is a rich background to the hundreds of pristine beaches and lovely coves. The island of Cuba has a strong heritage and a great appreciation for beautiful things. It’s no surprise that the state flower of Cuba is lovely as well – the white mariposa, or butterfly jasmine. The official flower of Cuba, butterfly jasmine is a lovely flower rich with symbolism. The white mariposa is native to Cuba and grows wild along water sources such as rivers and lagoons. The fragrant white flower was once used by Cuban women to send messages to the battlefields of the wars of independence fought in the country. Today, the national flower of Cuba represents purity, rebellion and independence. A country that has fought hard for its identity, a flower representing this struggle is a natural choice. 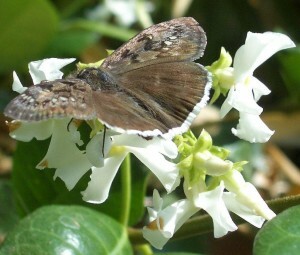 Butterfly jasmine has delicate white petals arranged in an open position on a dark green stem. The brilliantly white flowers have a rich and heady scent that many have described as being truly delicious. The white mariposa resembles a butterfly with its open petals and graceful lines. 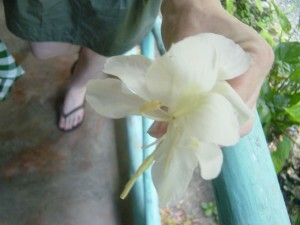 The lovely flower grows wild beside water, but is also cultivated in gardens and yards of Cuban homes. The butterfly jasmine needs a great deal of humidity and warmth to grow well. The national flower of Cuban can be grown in many other areas of the world so long as the temperature and soil conditions are right. Butterfly jasmine grows best in hot, humid weather and can grow in shallow water as well. The butterfly jasmine needs tropical temperatures and rich soil as well as a full sun position. The white mariposa is not especially hardy and should be well tended in cooler climates. This entry was posted on Friday, September 10th, 2010 at 5:07 pm	and is filed under National Flowers. You can follow any responses to this entry through the RSS 2.0 feed.